I don’t usually do Pinterest or Etsy related posts (unless I made something I pinned or bought something off Etsy), but today I wanted to spread a little Etsy love. I've picked 5 items that I love AND have a place/use for. I haven't bought any of these items...yet! I’m not a huge fan of burlap, but this pillow would look so good on our bed. 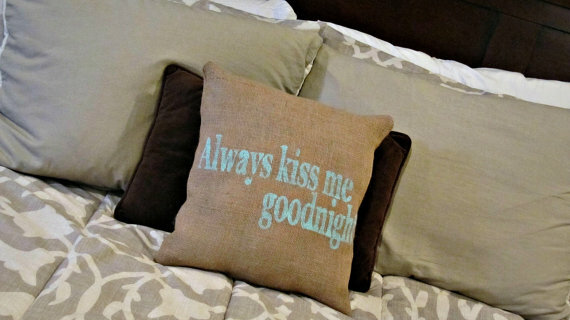 And it’s fitting for us because I always make my boyfriend kiss me goodnight. Plus I can use it as a guest pillow if Lakota ever comes to visit. (Totally kidding…you can read all about Lakota’s “love” for burlap here). Sticking with pillows, I think this pillow wants to come live on my couch. It would bring the teal from my roman shades into the living room...and I like birds (only decorative birds - I’m terrified of real birds). Remind me not to buy black furniture again! I love my new dining room table, but it shows EVERYTHING! I think placemats would help, so I’ve been on the lookout for some awesome ones. I really like these, but I’d probably cry if someone spilled something on them. Moving away from fabric, let’s talk flowers. I would love to always have fresh flowers around the house, but I’m too cheap to buy them. 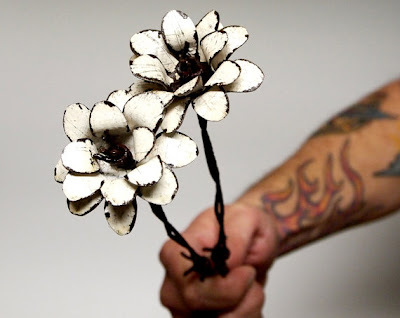 I think these metal flowers are the perfect solution. They’ll last forever and they look cool. A tattooed arm holding barbed wire flowers = cool..duh! I’m still working on my office makeover and I’ve been looking for some artwork for the walls. I’ve always love Paris (even though I’ve never been) and I love this architectural print of the Eiffel Tower. I think it’d look perfect framed and hung next to the window. 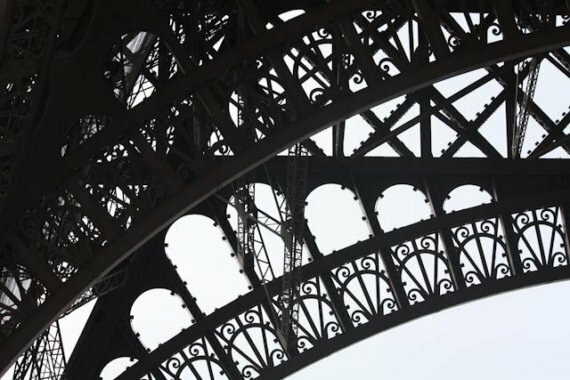 Hopefully someday I’ll visit Paris and be able to frame my own Eiffel Tower photos! Do any of you have your own Etsy shop? If so, feel free to share the link in the comments section. If not, do you have a favorite shop or what have you purchased recently? Hahaha...I am THERE! Do you have a sackcloth guest towel for me too? I bought my decal in my kitchen and also this little lovely for my friend's doggy! You might also like this shop! It's for doggies! Hi Sam, well I love all your pics. I also love burlap. Guess it's just me and lakota. Ah well. 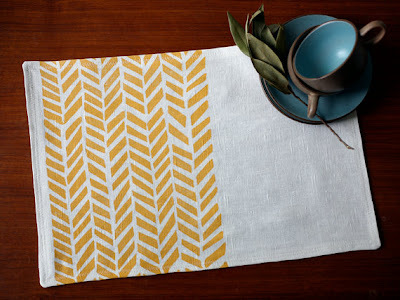 pretty placemats!!! 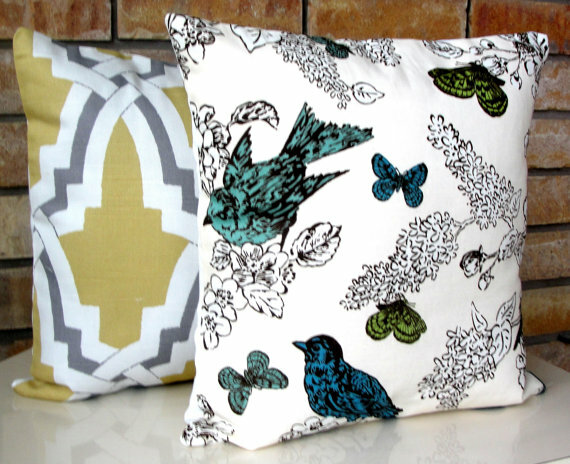 and the bird pillow, really digging how it's black and white,but the birds and butterflies are in color! Super fantastic Etsy wish list... and way cool to be included among these awesome finds!